With apologies for the delay in posting overnight reports, we’ve had what appears to have been a concerted denial of service attack, a not unusual issue in this marketplace at present! Lando Norris pitted after a stellar stint in the #23 United Autosports Ligier, Phil Hanson back behind the wheel. Jordan Taylor meanwhile closed in on and passed Dane Cameron, #10 Cadillac ahead of #6 Acura. GTLM had the top three, #66 and #67 Fords followed by #911 Porsche separated by just 15 seconds. Castroneves and Albuquerque were involved in a fine wheel to wheel tussle for the lead as the race approached the end of the seventh hour. The Acura man finding the attack from the #5 Cadillac too much to handle, Albuquerque to the lead, and with Eric Curran making inroads into the advantage of the #7 too with Jordan Taylor still hacking into the gap in fourth, the #10 man into the 1:37s, significantly faster than all three cars ahead, 36 seconds off the lead with five minutes to the top of the hour before a routine stop. Further troubles for the #77 Mazda, no tail lights as the car pits, the team making multiple attempts to remedy the situation, the car eventually rejoining but Tristan Nunez down in 27th spot. Harry Tincknell meanwhile was making progress back up through the field at the top of the hour working on catching and passing the GTLM leading Fords and back into the top 20. 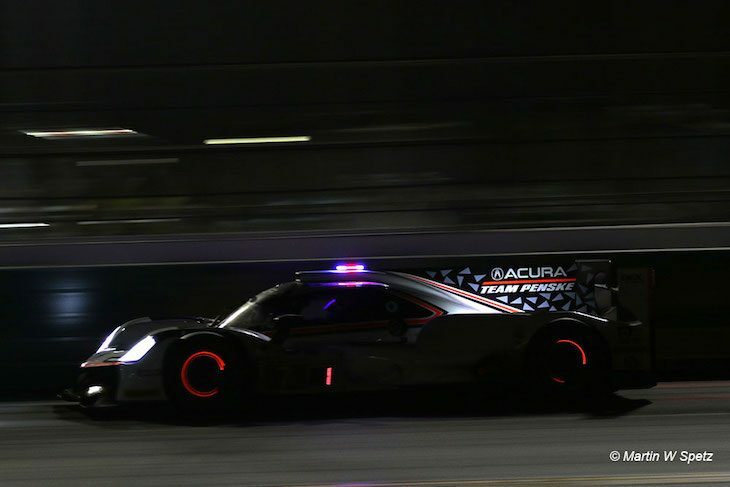 Just after that start of the eighth hour we briefly saw the first Penske 1,2 in the brand new Acura era, Castroneves leading and Dane Cameron moving up to second on pit stop rotation before he himself rumbled down pit road. Albuquerque though was soon by the #7 again, #5 back to the lead but the Acura was not done, Castroneves taking back the lead a lap or so later and puling away. Stephen Simpson suffered a spin in the #99 JDC Miller/ Gainsco ORECA at the International Horseshoe, the car crawling back to the pits. Almost immediately there was further drama as Don Yount lost the rear end of the #96 Turner BMW M6 GT3 at the Bus Stop, into the tyre wall fairly heavily the car bouncing off but making it back to pit road, no caution thrown. Drama for Phil Hanson, ANOTHER right rear puncture and half a lap of torture as the remains of the shredded Conti deconstructed the rear bodywork of the #23 Ligier! Fernando Alonso climbed in as the crew went to work. GTD meanwhile has seen a significant advance for the leading #29 Land Audi, through the poor weather in Hour 6 the team consolidated their long-time lead putting a full lap on the remainder of the class. The next set of pit stops for the leaders saw the #7 cede the lead after overshooting the pit box, Albuquerque back ahead as the Penske stop took longer than necessary as a result. The #55 Mazda, still in the hands of Harry Tincknell made its way through the final GTs ahead in the overall order with the RT24-P having what must have bene the odd experience of making his way past an identical car, with an identical running number to his regular FIA WEC ride! Coming to the end of the eighth hour and the lead lap was occupied by just five cars, the #23 rejoining after its tyre dramas three laps down. Albuquerque had consolidated his lead to around 20 seconds from Castroneves, van der Zande 40 seconds further back in the #10 WTR Cadillac with Montoya a further 20 seconds back in the #6 Acura, fending off Eric Curran in the #31 Whelen Caddy. GTLM was still being bossed by the Fords, still #66 from #67 but the pair running nose to tail with Hand ahead of Westbrook. Oliver Gavin’s #4 Corvette was third well over a minute down with Antonio Garcia fending off close attention from Nick Tandy for fourth in class. A delay in traffic cost Castroneves a chunk of time, the #5 Cadillac lead over 30 seconds into the next hour. Behind, the sister Action Express car still in the hands of Curran was up to third ahead of Montoya’s #6 Acura. In GTLM Nick Tandy passed Antonio Garcia, #911 Porsche ahead of #3 Corvette. Trouble for the third placed #10 WTR Cadillac yet another right rear blow out, again, rear bodywork and, much more significantly, a broken radiator line, the car behind the wall after a very strong run. And almost immediately there’s further drama in the Cadillac camp, Matt McMurry behind the wall in the #90 Spirit of Daytona car the team working on diagnosing a misfire, both stricken Caddys being worked on side by side in the garages. The #10 was back out in 5 minutes, rejoining in 16th slot, 10 laps astray, the #90 though continued to drop down the order. Heading into Hour 10 and Nick Tandy had a big off while running fifth in the #911. Replays showed the Briton clipping the kerb at the Bus Stop and losing the car on the exit, sending him into the tyres. The car lost its rear wing, and suffered front-end damage too. He continued, and managed to get back to the pits. In GTLM, 15 minutes into Hour 10, the two Fords finally pulled a lap on the #2 Corvette in third. Joey Hand in the #66, leads the #67 of Richard Westbrook, the pair running in tandem, three seconds apart. When it rejoined, Tandy was running 33rd overall and 13 laps off the class leader. 10 minutes later, another right rear puncture. This time the #31 Whelen Cadillac of Felipe Nasr was spotted running slowly. The car had lost fourth by the time it had returned to the pits. Meanwhile,. There was a change of place in GTD, when the #93 Shank Acura took second from the Riley Motorsports AMG GT3, after the latter had a significantly longer stop. 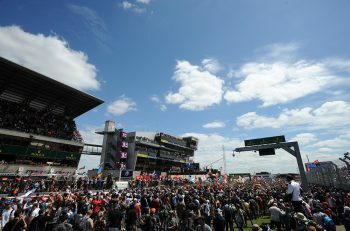 A five minute penalty for a violation balance of performance was then handed to the GTD leading Land Motorsport Audi R8, which held a two lap lead over the field. The lead of the class was then inherited by Adam Christodoulou in the Riley Mercedes. When Jeff Schmit rejoined the race, the Land Audi was down to seventh in class and two laps off the lead. When IMSA Radio spoke to Christian Land, he confirmed that the issue related to the rate with which the fuel was going into the car. Shortly after the Land penalty, the cameras caught the #78 Jackie Chan DC Racing ORECA, yet another right-rear puncture, Alex Brundle coasting into the pits, running just inside the top 10. Felipe Nasr then set the fastest lap of the race in the Wheel Engineering Cadillac, a 1:37.475 from the Brazilian on lap 331. This came just before Cadillac announced that the Spirit of Daytona DPi had retired following its misfire issue. 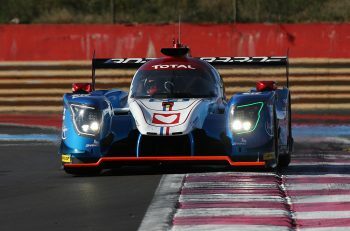 Two further dramas struck the prototype class with 14 hours left in the race, prompting the organisers to call the second Full Course Yellow of the race. The #2 ESM Nissan DPi was seen heading behind the wall, the team stating that it was a potential gearbox issue, meanwhile, the AFS PR1 Ligier had gone into the tyre wall at the International Horseshoe, Ricardo Gonzalez going straight on and off the circuit, immediately after serving a drive through. Under FCY, the race leading #5 Mustang Sampling Cadillac underwent a brake change. The result of the change meant that out front it was an Acura 1-2 the #7 leading the #6, with 14 hours remaining. With the FCY still in force, the #2 rejoined the race, with Ryan Dalziel aboard, down to ninth. Soon after the turn of the hour though the #2 was back behind the wall. And there was trouble too for both Jackie Chan DC Racing cars, the #78 for running over a hose, a drive through dealt to the car with Alex Brundle currently at the wheel. The #37 a Stop plus 60 for fifth placed Robin Frijns blowing the red light at pit exit! The GTD leading #33 Mercedes AMG GT3 also saw trouble, a stop go for pitlane speeding. That immediately handed the class lead to the #86 Acura NSX with Katherine Legge at the wheel, the #33 rejoined 6th in class. Fernando Alonso has a wild moment through T1, a purple sector 1 indicating that the car had run straight through into the second sector the car pitting immediately and Alonso’s body language indicting a problem. Lando Norris climbed aboard but only to steer the car back behind the wall under push power, Trevor Foster telling IMSA Radio’s Diana Binks that there was a suspected failed brake master cylinder. The #52 rejoined after attention following its off-course moment and almost 2 minutes behind the wall. The top four overall meanwhile were separated by just 6 seconds, but the real battle was for second place, Barbosa getting the side draft from Pagenaud but Nasr getting a HUGE tow into the Bus Stop and going three wide to slingshot by for second – a great move – Barbosa was also by for third, Caddy’s evening getting a little better after a difficult couple of hours! Ricky Taylor the next target for the Cadillacs, as the next pitstops loomed. Robin Frijns in the #37 was next to look to find a way by Pagenaud’s #6 Acura, the Jackie Chan DC man though was looking to grab a lap back, the Acura man not willing to give up easily. Graham Rahal emerged in the lead of the race but the #7 Acura was soon behind both the Cadillacs, Barbosa to the lead and Nasr up to second despite a very grassy moment after executing the pass. Frijns meanwhile had unlapped himself from one Acura and was now working on Pagenaud. Just before the end of the 11th hour the #23 United Autosports Ligier re-emerged after a near 40 minute stop for repair to the car’s braking system, Lando Norris back into the fray but now down in 24th, 25 laps down on the leader. The #29 Land Audi meanwhile spent a spell on pit lane with the rear wing removed for replacement after failing out on track. Both Mazdas, after long, relatively trouble-free running were both in trouble at the same time, both cars behind the wall. The lead battle though was fully engaged once again, Barbosa with Nasr and Rahal in line astern, less than a second between the three with Pagenaud closing slowly but steadily from 4th. Behind that battle Nico Lapieere had also closed in, this time in a battle for fifth, he was less than a second behind Frijns, the #22 ESM Nissan looking for a way by the #37 ORECA. AJ Allmendinger was now aboard the #86 Michael Shank Acura NSX and had closed back in on the second placed Lamborghini, Bryce Miller’s #48 Paul Miller Lamborghini having lost out for the lead to Rolf Ineichen’s #11 GRT Huracan. Allmendinger was up into second in class, 8 seconds back from Ineichen just before 2am. Rahal powered by Nasr for second at around the same time, the top trio still separated by less than a second. All three would pit soon afterwards, the Acura turned around more quickly, a shorter fuel fill for the #7 allowing the car to grab track position, Rahal out ahead of the Cadillacs, team-mate Simon Pagenaud in the #6 taking the lead for a single lap before he too pitted. Penske turned the #6 car around very quickly, again short fuelling for track position and emerging ahead of the Cadillacs, both of which lost time to the leader on cold Contis the leader over 10 seconds clear and Pagenaud playing a very effective rear gunner for Rahal. The Cadillacs were squabbling over third, Conway looking for a way by Fittipaldi but seemingly struggling to get a run. Pagenaud meanwhile took full advantage and began to close in on his team-mate. 9 minutes form the halfway point and the race had a new leader, Simon Pagenaud going by his team-mate courtesy of a wild spin thorough Turn one, the #7 going around then briefly stalling, rejoining in fourth position, 8 seconds back from new 3rd place man Mike Conway. 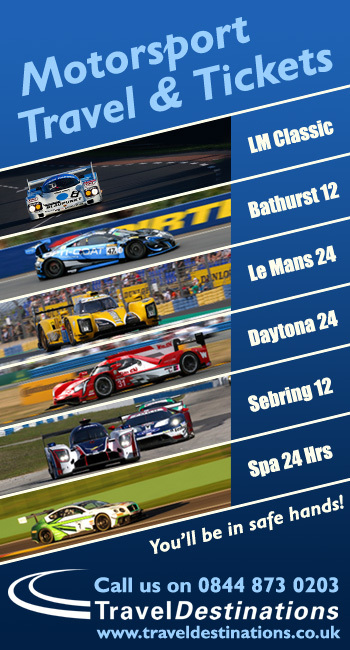 Trouble 2 minutes from halfway for the #99 Gainsco/ JDC Miller ORECA – guess what? – a right rear puncture! Sam Bird was just installed aboard the #64 Scuderia Corsa GTD Ferrari but was immediately called in for a drive through for a pitlane speeding violation.